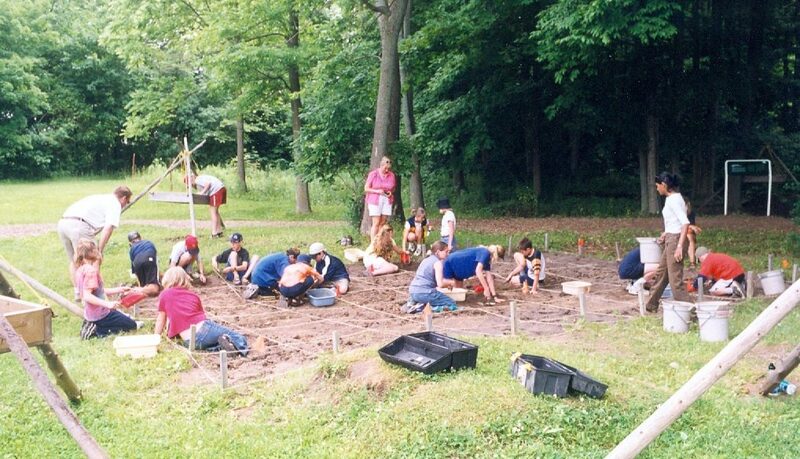 As part of the long term management of the Lawson Village and partnership we have with the Department of Anthropology at Western University, the Museum’s Lawson Chair (Neal Ferris) will be running a field school on the site though the last half of May and early part of June. This course is not your typical field school because it’s not focused on teaching students how to dig up a site. Instead, students will undertake field investigations that are designed to protect the heritage value of this important archaeological site while remaining consistent with our aim to preserve the site. In other words, students will be learning how not to dig up the Lawson site! 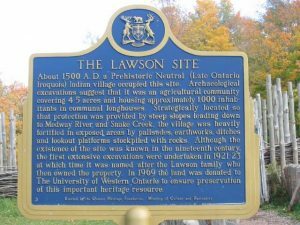 The Lawson Village is a nationally listed and provincially designated archaeological site dating to the 16th century AD, the majority of which is undisturbed within a woodlot. The idea of the field school is to develop and implement measures to protect and care for the site over the long term. Students will undertake fieldwork that helps remediate open areas that had been previously excavated. They will also undertake detailed mapping to tie in earlier fieldwork with current activities on the property, define no disturbance areas, and use remote sensing equipment such as ground penetrating radar to better understand the below ground archaeology of the site without having to dig it up to get that information. An important dimension of the management plan for the Lawson site is public education and appreciation of heritage. As such, students will also be trained in fieldwork that focuses less on research and more on being in public service. Working with Museum staff, volunteers, and the public, students will learn to both appreciate the role public archaeology plays in society, and understand how to talk to people about archaeology in ways that are important to them, and not always as important to archaeologists. 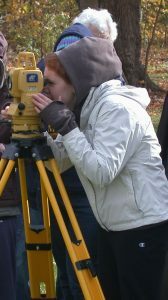 The immediate aim of the field school is to teach students a different way of thinking about and doing field archaeology. 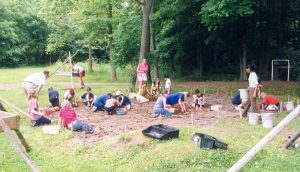 But more importantly, the field school gives us the chance to really implement the first steps in what will be an ongoing process of remediating and managing the archaeology of this important, centuries old site. We want to ensure that the Lawson Village remains an important part of our heritage for the centuries ahead. You are welcome to visit us between 10:00 a.m and 2:00 p.m. May 25th to May 27th and then again from June 1st to 3rd to observe and to get a better sense of the “Un” part of this field school. Come check out what we are doing!